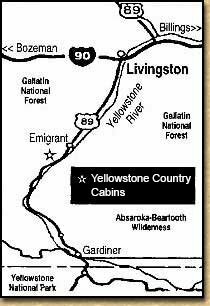 in Emigrant, Montana is your fly fishing base camp for the Yellowstone River, the Livingston Spring Creeks, and nearby Yellowstone National Park. 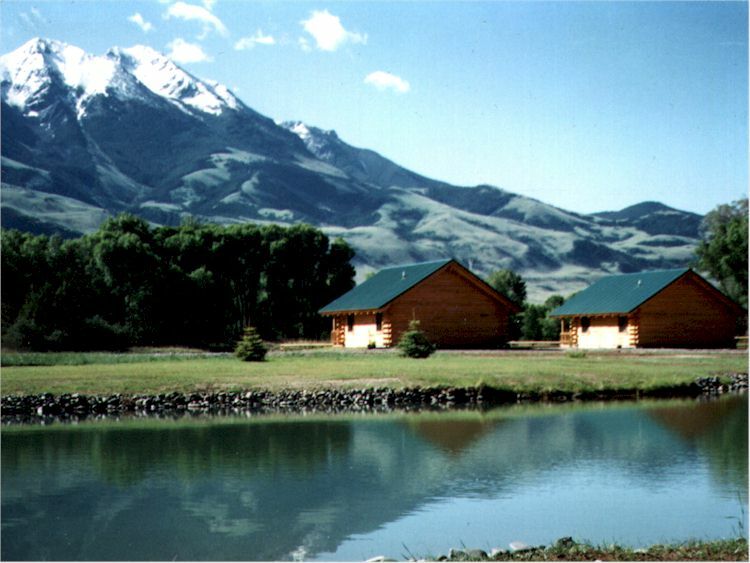 We are ideally located in the heart of Paradise Valley, Montana only 30 minutes from the north entrance to Yellowstone Park. 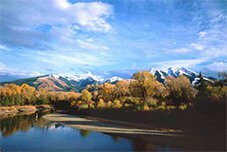 Spring through fall, we host fly fishing groups from around the world who come to Montana to sample the famous Spring Creeks of Livingston, the Yellowstone River and the waters of Yellowstone Park. 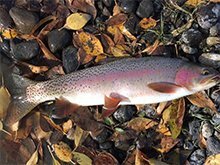 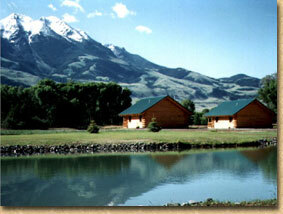 Blue ribbon trout fishing is available with our private access on the Yellowstone River. Our area also offers river rafting, horseback riding, snowmobiling, and both cross country and downhill skiing. 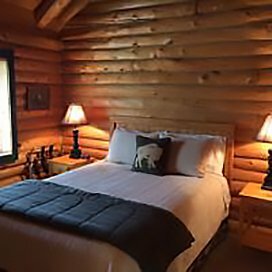 Nearby Chico Hot Springs Resort provides our guests with the opportunity to enjoy a rejuvenating soak and a gourmet meal after a day of recreation. 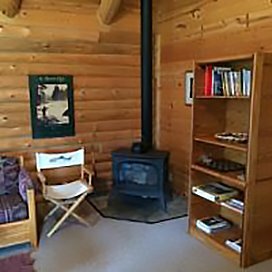 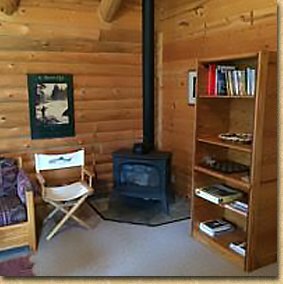 Our two bedroom log cabins have a small kitchen and dining area, a spacious sitting area, 1 bath, and a large deck facing the Yellowstone River and Emigrant Peak. 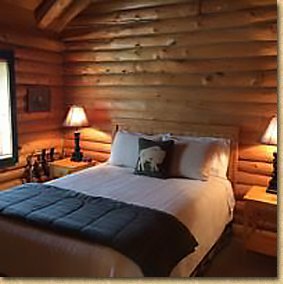 We were a featured accommodation in both the Wild Trout Journal; a Montana publication dedicated to fly fishing in Yellowstone Country and the travel section of the Atlanta Journal Constitution. 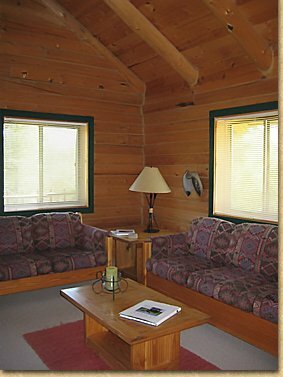 and $10 / night for each additional guest. 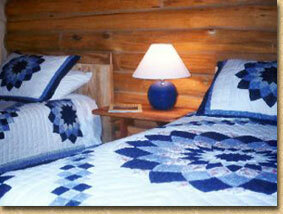 Our page has been visited 112464 times.